Bill Crouch played professional baseball for a half-dozen seasons with three brief stints in the Major Leagues. 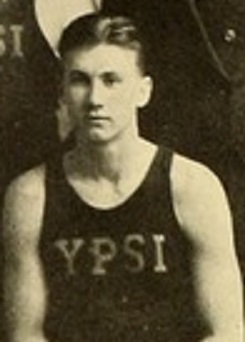 Returned to his college (renamed Western Michigan) where he coached basketball and baseball. William Elmer Crouch Born: Aug 20, 1907 Died: Dec 26, 1980 Hometown: Highland Park, Mi.